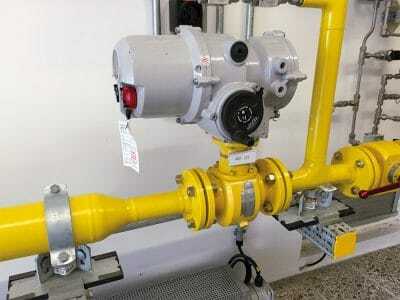 In 2013 Uniper Energy Storage GmbH (UST) brought the power-to-gas plant “WindGas Falkenhagen” successfully on stream. With this project Uniper has been demonstrating, as one of the first companies worldwide, a way how renewable energy can be stored in the natural gas grid in order to make production independent from consumption. For the pilot plant in Falkenhagen (Germany) Hartmann Valves supplied 24 true metal to metal sealing ball valves, designed to meet the excessive demands for service associated with pure hydrogen whilst ensuring maximum safety. 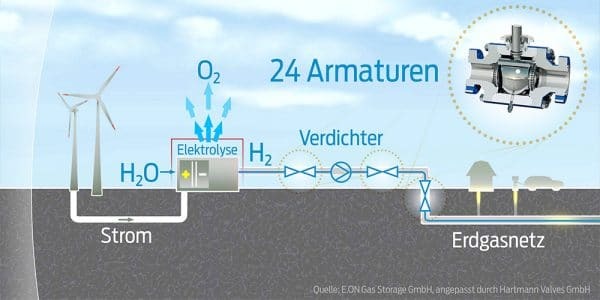 With Falkenhagen we want to test on pilot-scale how a connection between power and gas grid can be achieved, how we can make the fluctuating renewable energy storable, and how we can integrate green hydrogen in other energy systems and applications. Pure hydrogen is a challenging fluid. We have decided to use true metal sealing valves because in technical respect this is the best and safest alternative. During the project Hartmann Valves responded to special demands with high flexibility and was convincing with comprehensive expert advice as well as accommodating service.